Do you enjoy working in a family environment? Do you like outdoors work or do you prefer client relations? Interested in living in a great small town, just minutes away from the oldest race track in the country? 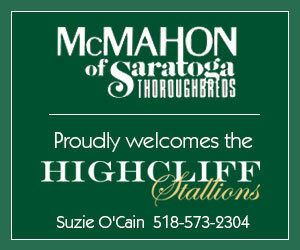 McMahon of Saratoga Thoroughbreds, LLC is a family business focused on the horse. We have a wide range of thoroughbreds, from new born foals starting every January, to yearlings, sales horses, broodmares, and stallions. From hands on horse work, to vanning, sales prep, and field work, we do it all.